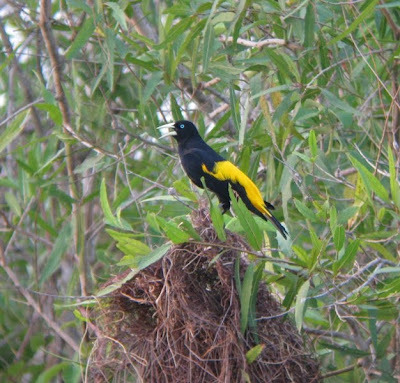 Day 2 began with a dawn wake-up call from Chaco Chachalacas, followed by a walk along the fazenda's access road. 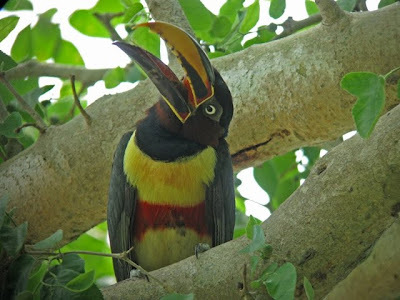 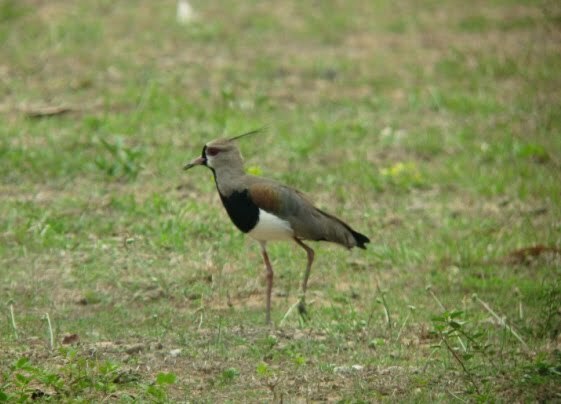 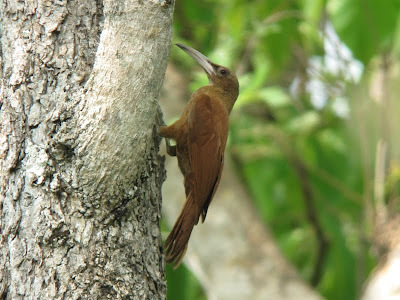 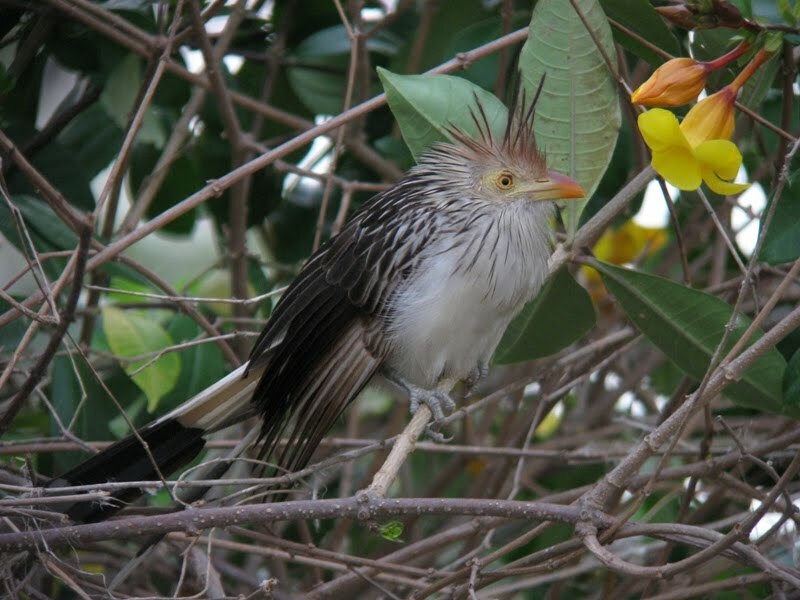 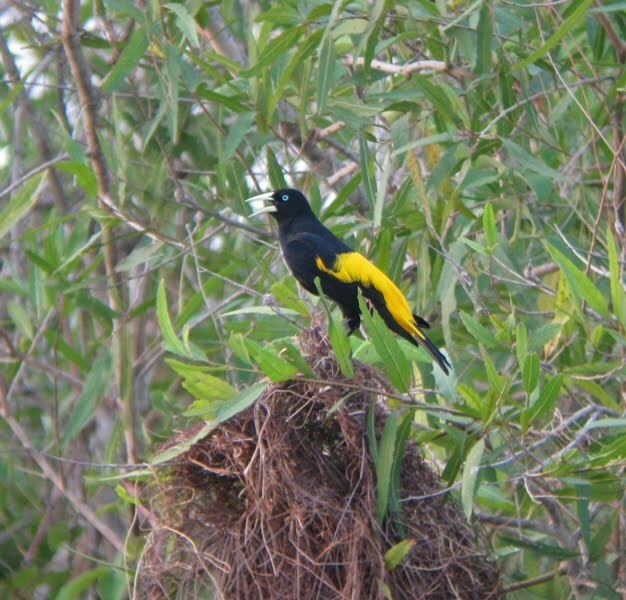 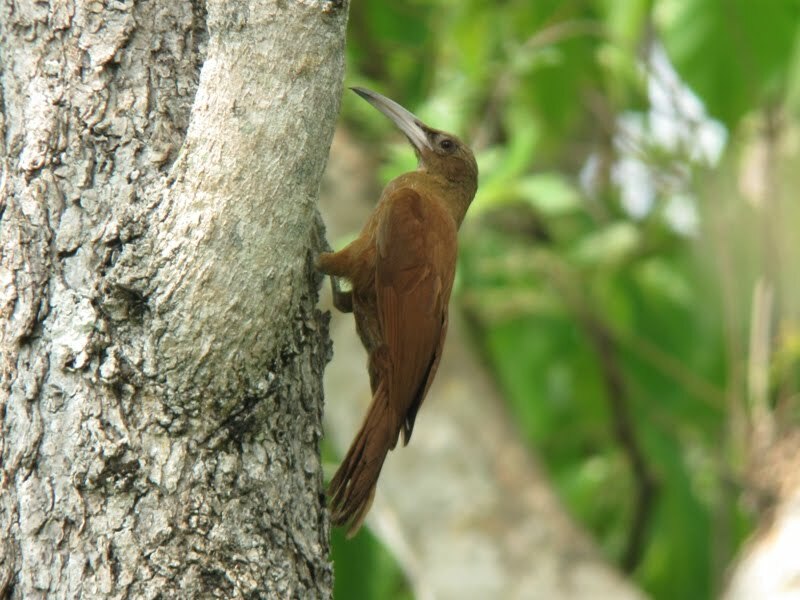 Our first birds were Saffron Finches and a flock of Guira Cuckoos, one of my favorite common birds here. 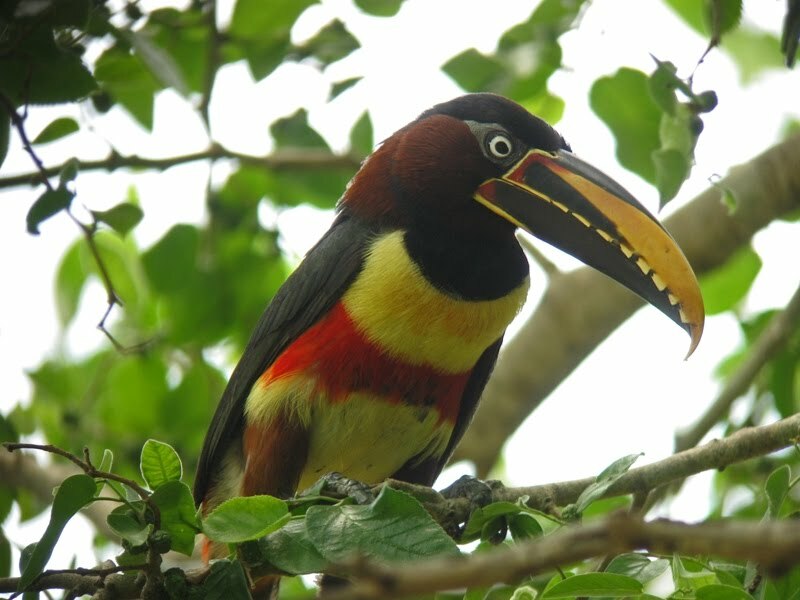 Giuliano's owl-tooting brought in a great mixed flock of passerines that included HOODED TANAGERS, Red-crested Finch, Short-crested Flycatchers, Rusty-backed Antwren, Streaked Flycatcher, Black-crowned Tityra, White-winged Becard, Masked Gnatcatchers, and Double-collared Seedeaters. 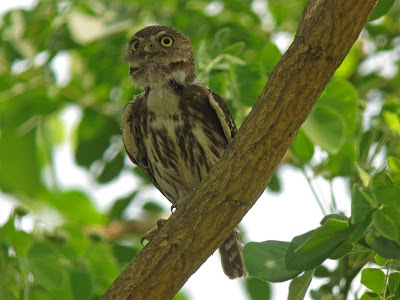 Songbirds weren't the only thing attracted by the tooting...a FERRUGINOUS PYGMY-OWL made an appearance. 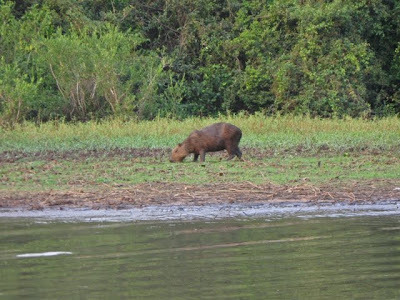 After lunch we boarded a small flat-bottomed boat for a cruise down the Rio Claro which turned out to be one of the [many] highlights of the trip. 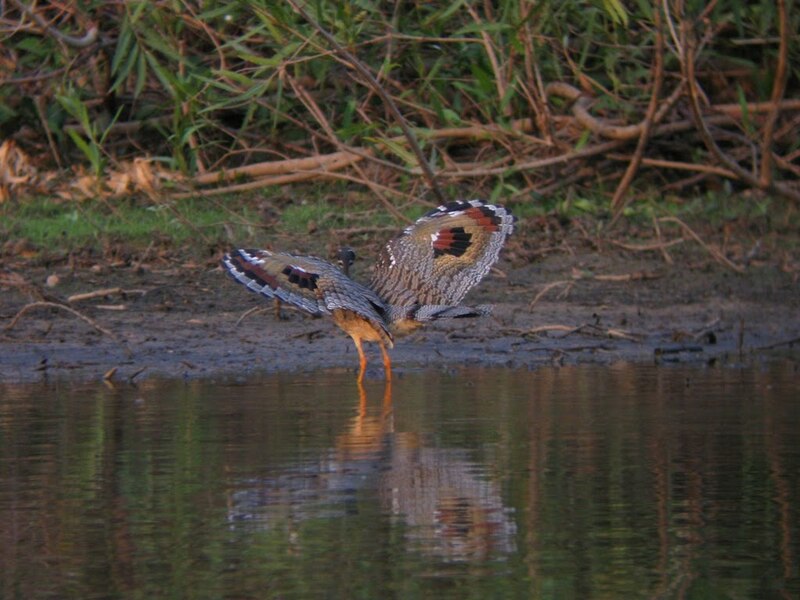 This afternoon we had all 5 species of Brazil's kingfishers: Ringed, Amazon, American Pygmy, Green, and Green-and-rufous. 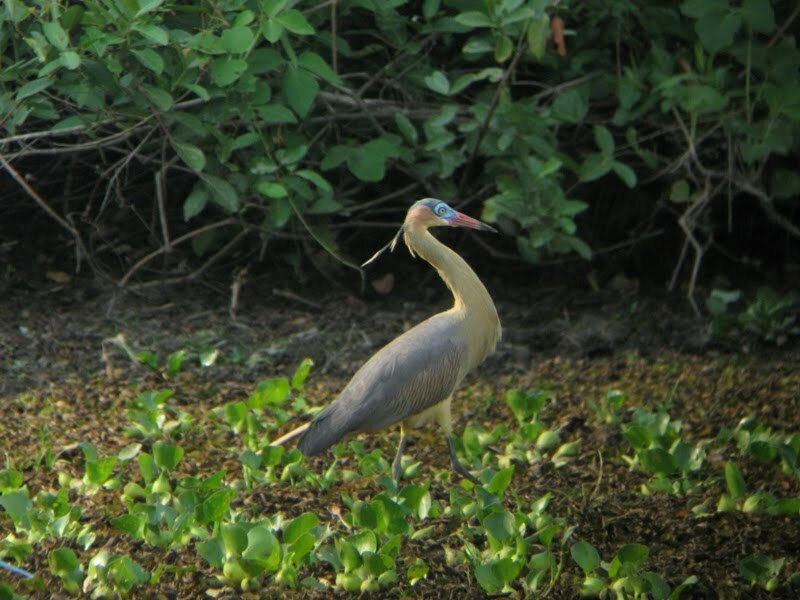 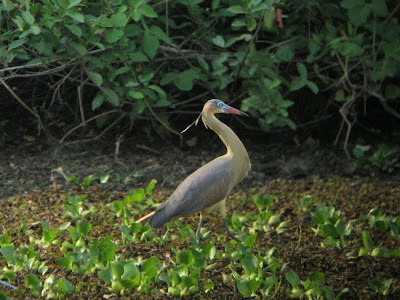 The heron show continued, this time including a single stunning WHISTLING HERON. Bare-faced Ibis completed our ibis quartet for the trip. 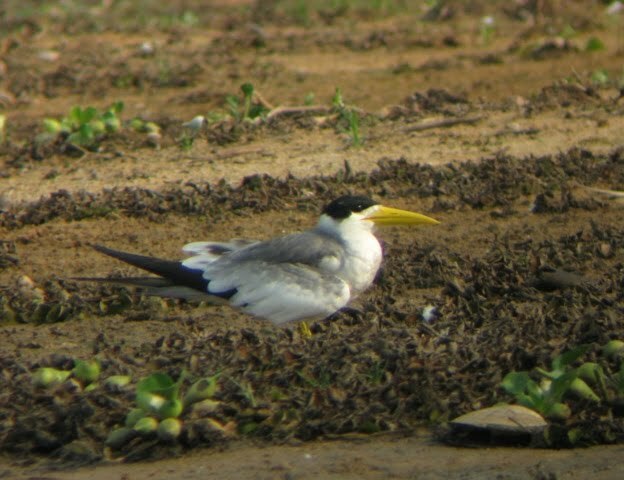 A couple scattered sandbars held the striking LARGE-BILLED TERN, and we were able to muster up a few nearctic waders including the locally uncommon White-rumped Sandpiper. 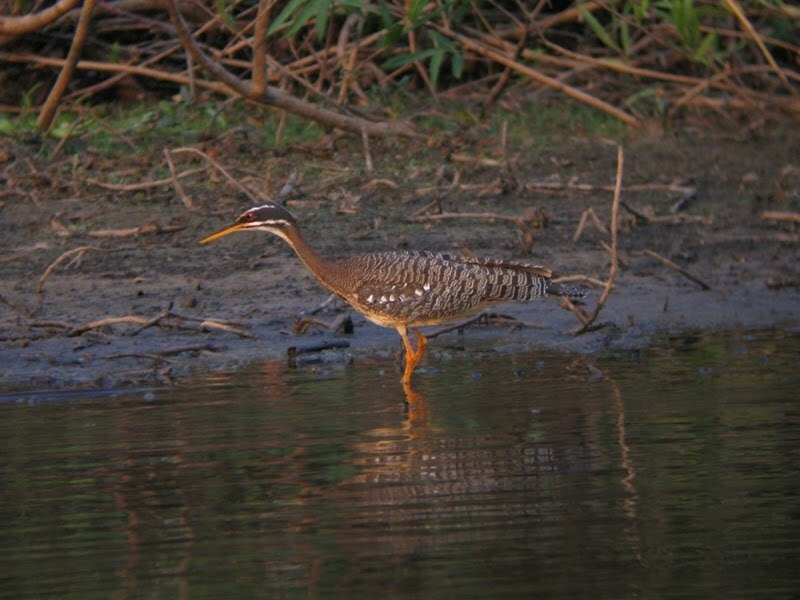 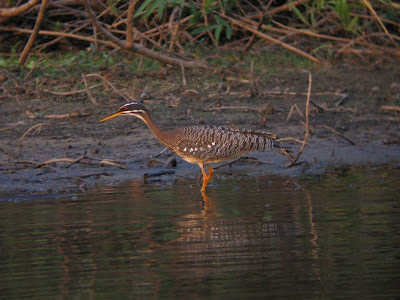 My personal avian highlight of the whole trip came this evening when we located a SUNBITTERN along the riverbank. 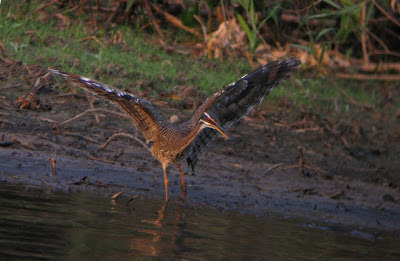 It appeared that the bird was interested in a large eel that was flopping in the mud. 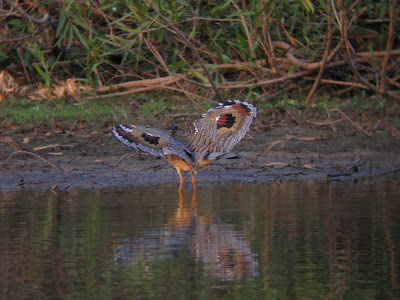 The eel appeared to be much too large for a Sunbittern to handle. Rather than attacking or picking at the eel, the bird walked circles around it, every now and then spreading its wings wide open as if trying to intimidate the creature. 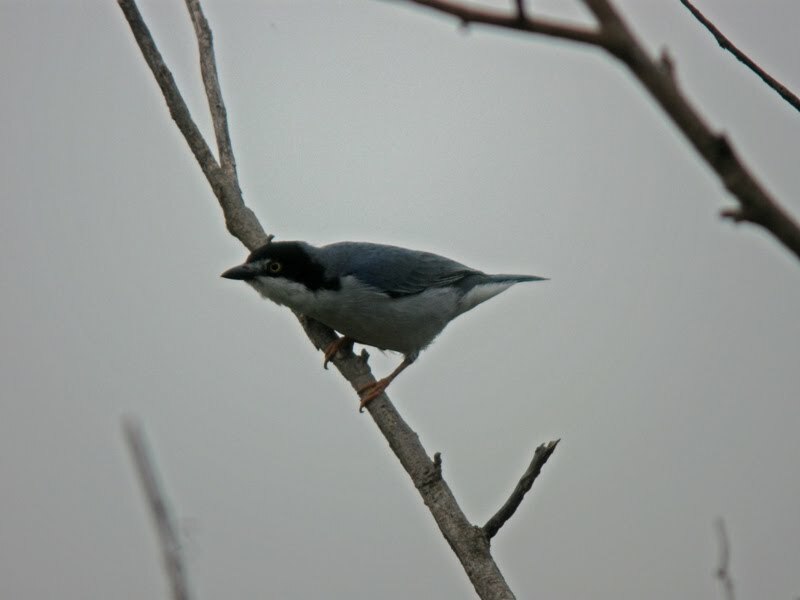 The result was an incredible show of bright color and stark contrast. 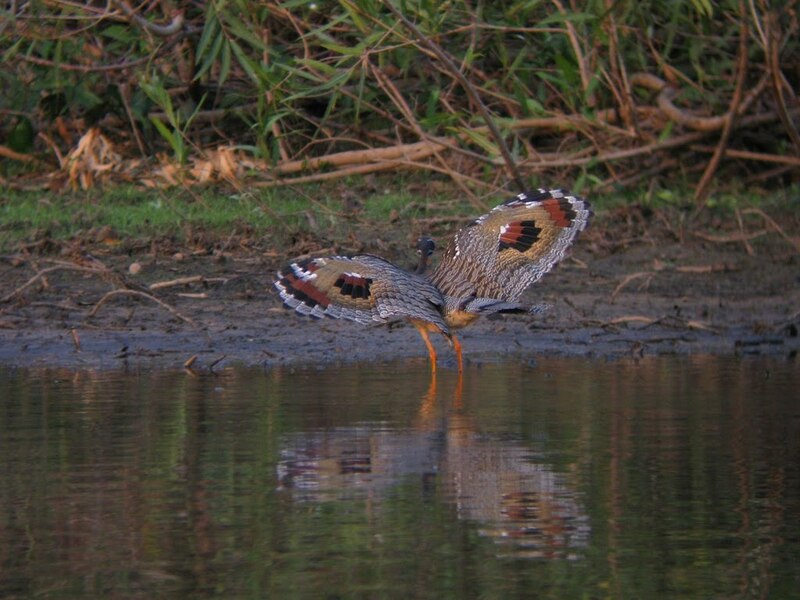 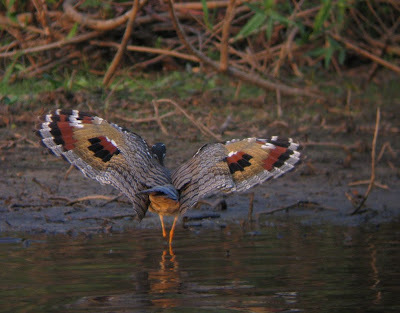 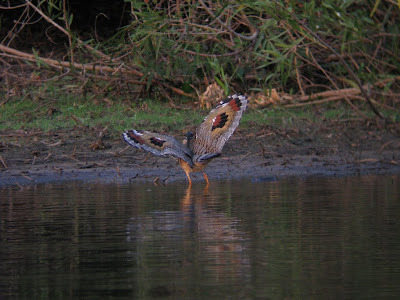 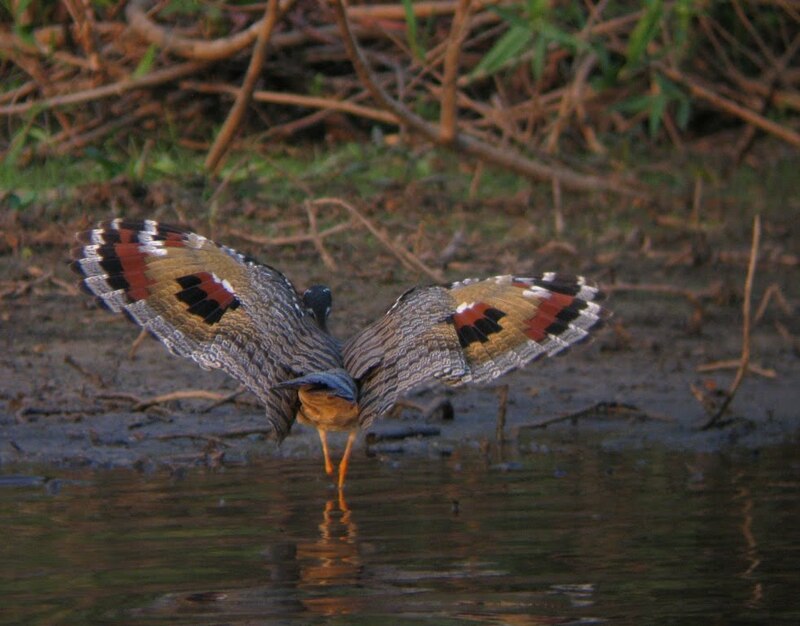 While the Sunbittern looks cool enough just standing there, its most striking feature is the patterning of its spread wings. 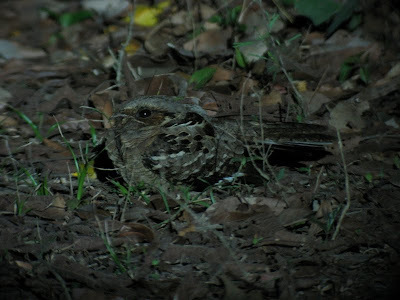 After dinner we took a walk for nightjars and owls. We heard multiple species and were eventually able to get a look at a couple PAURAQUE. 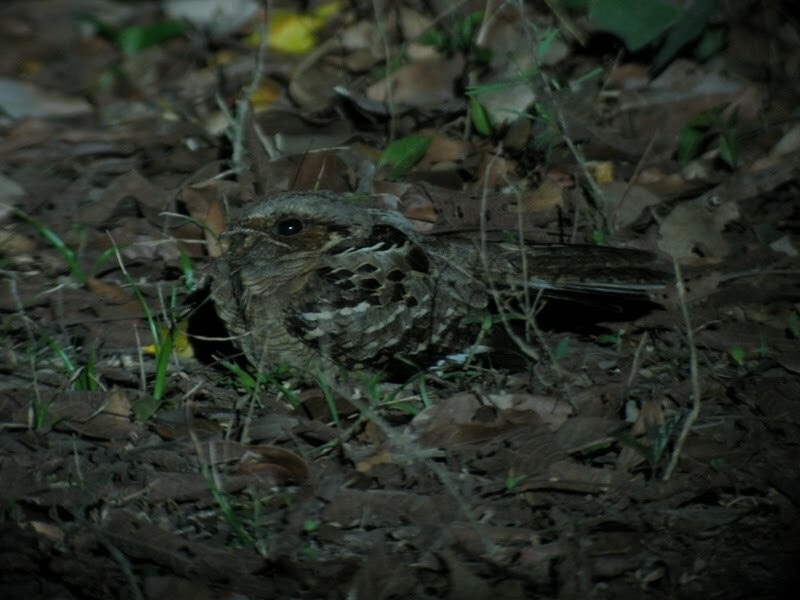 Night at Fazenda Hotel Rio Claro.